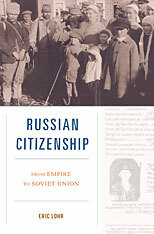 Russian Citizenship is the first book to trace the Russian state’s citizenship policy throughout its history. Focusing on the period from the mid-nineteenth century to the consolidation of Stalin’s power in the 1930s, Eric Lohr considers whom the state counted among its citizens and whom it took pains to exclude. His research reveals that the Russian attitude toward citizenship was less xenophobic and isolationist and more similar to European attitudes than has been previously thought—until the drive toward autarky after 1914 eventually sealed the state off and set it apart. Drawing on untapped sources in the Russian police and foreign affairs archives, Lohr’s research is grounded in case studies of immigration, emigration, naturalization, and loss of citizenship among individuals and groups, including Jews, Muslims, Germans, and other minority populations. Lohr explores how reform of citizenship laws in the 1860s encouraged foreigners to immigrate and conduct business in Russia. 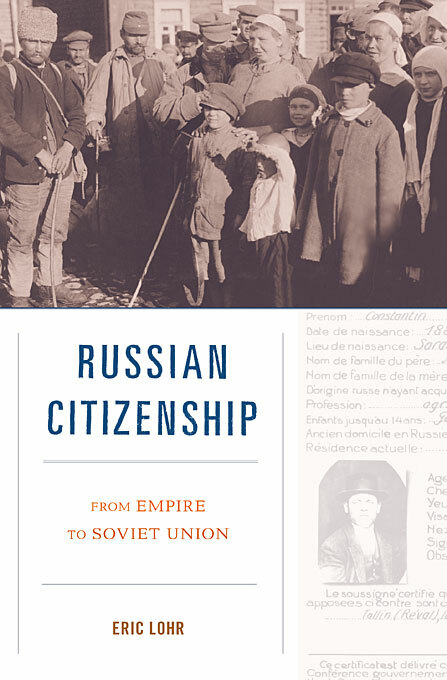 For the next half century, citizenship policy was driven by attempts to modernize Russia through intensifying its interaction with the outside world. But growing suspicion toward non-Russian minorities, particularly Jews, led to a reversal of this openness during the First World War and to a Soviet regime that deprived whole categories of inhabitants of their citizenship rights. Lohr sees these Soviet policies as dramatically divergent from longstanding Russian traditions and suggests that in order to understand the citizenship dilemmas Russia faces today—including how to manage an influx of Chinese laborers in Siberia—we must return to pre-Stalin history.